It is one of the most important decisions you can make on a project - so take your time. Dream. Experiment. Explore. What is the function of the room? Whether it’s your living room, dining room, bedroom, kitchen or craft room, color plays a role in the design and mood. What lighting conditions are in the room? Do you have a lot of natural light coming in or do you rely on incandescent lighting for the room? 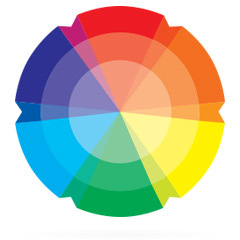 Lighting plays a key role in color selection as color will change in different lighting conditions and throughout the day. Color plays an integral part of the design aesthetic so testing the color is key. The opportunity to view various colors on the walls under the lighting conditions assists in providing a true reflection of the color in the setting. Nothing changes our perception of color more than light. Paint, textures, fixtures and furnishings are all affected by light. That’s why it’s imperative that you assess colors under the predominant lighting conditions for your projects. There are three primary lighting sources: direct sunlight, indirect sunlight and artificial lighting.